Description: Fabulous new price!! Amazing value!! Welcome to this wonderful updated home with a first floor Family Room AND a Den/Office with skylight. Enjoy hardwood floors, wood-burning Fireplace, - Eat-In Kitchen, Formal LR & DR. Four Bedrooms, two Full Baths and a Rec Room. New and newer: Bath, furnace, HWH, 200 amp electrical. Interior freshly painted. 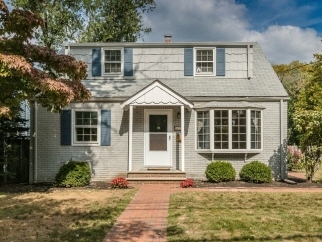 Convenient to schools, parks, train, NJ Transit bus to NYC. Sellers very motivated!